In 1985, Denver native Michael Hommel founded Designs By Sundown. Starting with a handful of employees and working out of his parents’ garage, he started a company that today has become one of Colorado’s premiere residential landscape architecture, construction and maintenance firms. Michael started the company with the notion that by combining a responsive and knowledgeable staff with the highest quality materials and craftsmanship, a successful business could be built. Adhering to this philosophy has propelled the company into one of Denver’s most recognized and requested landscape firms. Our mission statement states that through “Using innovative ideas to create distinctive outdoor environments, our staff is dedicated to working with passion, integrity, and respect to fulfill the dreams of our clients.” Our focus is clear — exceed client expectations by adhering to uncompromising quality standards, paying strict attention to detail, and providing value-added services. When you hire Designs By Sundown you are assured of a professional experience with an “Award-Winning” team of individuals well recognized in the landscaping community. DBS is dedicated to creating a more beautiful and enjoyable life for their clients. This is a company that doesn’t need to follow trends, because trends follow them! Today, Scott has expanded his “Niwot neighborhood” to some of the nicest neighborhoods in Longmont, Boulder, Louisville, Lafayette, Mead, Berthoud, Loveland and Fort Collins. Along the way he developed a full-service team of over 25 masterful, hard working craftsmen, including a team of landscape designers. While the landscape industry sees tremendous employee turnover, J&S Landscape instead has a reputation for long-term team dedicated staff, an advantage that greatly increases quality, speed in completing any project, and tremendous customer satisfaction. You know customers are satisfied when you go through a residential area and see 50% to 80% of the homes in a development using their services. That’s one reason why you won’t see full color adds in all the local fine home magazines, instead they rely on the best advertising you can possibly have, our highly satisfied customer who used and enjoyed our services. Aria Alfresco is a full service landscaping company offering custom design for your landscaping and outdoor space needs along with high-quality construction and installation---no matter the scope of your project. Relying on an experienced staff, we can help you pursue outdoor projects that you’ve been thinking about whether you are landscaping a new home, renewing an existing landscape, or adding outside features. * Financing subject to credit approval. Ask for details. 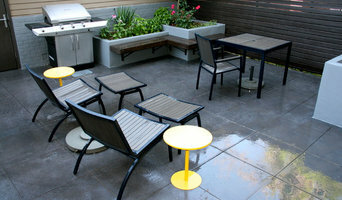 When you are ready to redesign your backyard, it is important to enlist the services of professionals you can trust. At Dream Makers Landscape, we are passionate about our work. Our crew pays close attention to every detail and design element, doing everything we can to create a beautiful outdoor living space for you and your family to enjoy. We know it can be difficult to find the best landscaping services in Denver, which is why we value lifelong relationships with our clients. Whether you need small project work completed or an entire outdoor remodeling job, our crew has the necessary experience to successfully help you. Ecoscape Environmental Design was founded in Boulder, Colorado in 2000 as a landscape design company specializing in native and edible landscapes. In 2004 we expanded from landscape design, to include installation and maintenance programs so that we could offer a more holistic ecological approach to land care. With the goal of creating exceptional outdoor living environments, we fuse functionality with aesthetic appeal to offer you the true sense of peace and wonderment right outside your door. Ecoscape's wide diversity of landscape services includes: permaculture design, corporate wellness gardens, patio design, masonry installations, retaining wall construction, landscape maintenance, organic lawn care, and complete irrigation system management. Our broader land stewardship programs include ecological forest management, noxious weed management, ecological rehabilitation & native revegetation, and snow plowing for select mountain communities west of Boulder. Our services are customized to our clients needs and desires, so that their land enhances a healthy lifestyle for themselves and the earth. As a landscaping company dedicated to caring for the land, we have been recognized and certified by PACE (Partners for a Clean Environment) as a Sustainable Landscape Company since 2005, based on our ecological approach toward landscaping. In 2006 we achieved certification by GreenCO (Green Industries of Colorado) recognizing our knowledge and applied skills of water conservation and soil management in our landscaping program, clearly setting us apart from other companies in the landscaping industry. We are a member of the Better Business Bureau for 10 years, and was awarded the Gold Star Award in recognition of excellence in customer care. Building trust, relationships, and clear communication with our clients is key to our customer service. A five time international design build award winning firm. Every TLC Gardens Landscape is a masterpiece providing invigorating escape, ultimate expertise and enduring environments. Escape Outside. We Build It. You Live It. Expand your life outdoors. 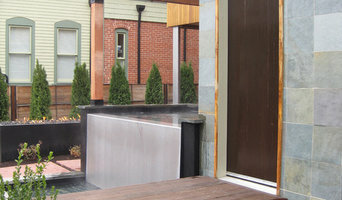 Since 1992, the landscape architects and designers at Ivy Street Design have been helping clients create memorable gardens and outdoor living spaces. Rely on Ivy Street Design to develop innovative and environmentally responsible landscape architecture solutions for your residential, institutional, or commercial site. Our team recognizes that quality design requires sensitivity and a keen appreciation of our clients’ goals. We also understand that stewardship means deep consideration of both current environmental research and long-term maintenance requirements. Ivy Street Design is WBE/DBE/SBE/EBE certified through the City and County of Denver, CDOT and RTD. From intimate personal gardens to public parks, Ivy Street Design can help your family, your business or the agency you represent create landscapes that endure and evolve for generations to come. 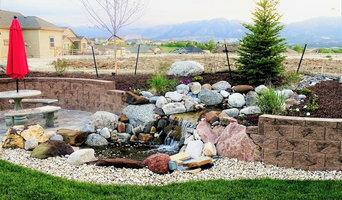 Mile High Landscaping is dedicated to installing high quality, artistic landscapes, that are built to last. This is accomplished by using the best materials available, and adhering to installation techniques that go above and beyond industry standard. Through years of experience in outdoor design and construction and a drive to constantly push the boundaries of what can be done in the landscape we have developed a unique portfolio of first class landscapes. Every landscape design is personal. Before we design patios and decks, build a new garden and create curb appeal, let’s start with how you want to feel in the space around your home. For the past 12 years Stacy Ebright has been dedicated to creating unique, imaginative, and functional landscapes to create beautiful, eco-friendly landscapes. While producing designs with various styles, she specializes in designing landscapes that are appropriate for the Denver Metro and your surrounding community. That means choosing the appropriate plants with low maintenance requirements, taking advantage of local materials and designing backyards that allow for outdoor activities. Stacy perfectly tailors to your unique aesthetic and special landscape design plans with exceptional plants that give a unique and distinct look to fit your life style. The desired goal of each landscape design is to make the most use of your space and create an environment that becomes a place of solitude and enjoyment. Northern Colorado's Outdoor Living Experts 4x Best of Houzz Winner! Landskapsarkitekter i Denver jobbar ofta med offentliga miljöer, som till exempel stadsmiljöer, parker och vägprojekt. Utbildningen för en landskapsarkitekt är på 5 år och ger en magisterexamen. I Sverige finns det två skolor som erbjuder den här typen av utbildning, Alnarp i Skåne eller Ultuna utanför Uppsala. Under och efter utbildningen sätter du ihop en portfolio som visar vad du kan som landskapsarkitekt. Med det sagt, så kan såklart en landskapsarkitekt även assistera i privata hem, och inte bara i offentliga miljöer. Nja, inte riktigt, även om många tycks tro det. Det är lite rörigt, för förut kallades landskapsarkitektur för trädgårdsarkitektur. Dock har titeln trädgårdsarkitekt kommit tillbaka med en lite ny innebörd. Trädgårdsarkitekter är mest inriktade på villaträdgårdar och deras design. De fungerar i vissa fall som trädgårdsplanerare som tittar på befintliga trädgårdsritningar och gör. Ibland får du designa en trädgård och ta fram en helt ny trädgårdsritning. Många trädgårdsarkitekter i Denver jobbar med trädgårdsdesign som egenföretagare. Vi hoppas att det går bra med att planera trädgården, oavsett om det är en stor botanisk trädgård eller en i förhållandevis spartansk villaträdgård. Förhoppningsvis så hittar du även just den trädgårds- eller landskapsarkitekt i Denver, CO som sökes. Lycka till!